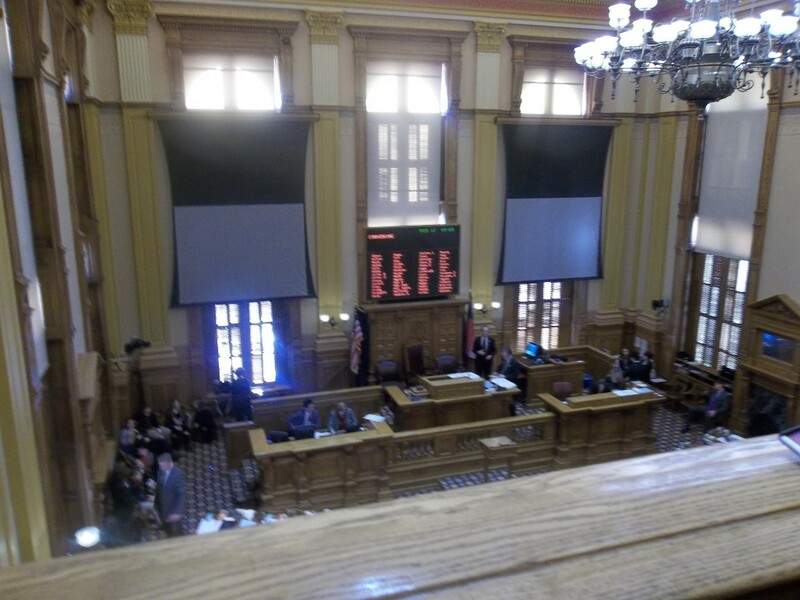 Our GED and high school students acquired hands on history lessons and became their own advocates as they spoke out in support of Georgia House Bill 242. HB242 is a rewrite of the Juvenile Justice Code that would expand their DFCS (Division of Family and Children Services) custody age to 23 and mandate certain individual rights such as legal counsel and unsupervised court-allowed family visits. They began by writing letters, and many of them went to the state capitol on Feb. 12th to hand-deliver the letters to their state representative, Rep. Wendell Willard. The students were able to see other bills being voted on. A few days later, they each received (to their amazement), a letter from Rep. Willard in the mail, thanking them for their communication and concern. That response produced a fervor in them that could not be quenched. Determined more than ever to see this bill through, they followed the progress of the bill as it passed the House and became slated for the Senate Judiciary Committee March 13. The students asked to return to the capital on March 13, and began writing more letters and collecting signatures in support of the bill. When they returned this week, they spoke with Senators Josh McKoon, who is endorsing the bill, and Jason Carter (their senator). Then they were able to sit in the meeting and watch as the bill was passed through the committee! After it passed Rep. Willard asked the students to stand up and be recognized for their advocacy. Then Sen. Jason Carter boasted and said, “I just want everyone to know that these students are from my district!” Our residents were glowing!